Writing a proposal for a new emoji was not Bramhill’s initial plan. 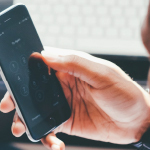 He was interested in the way emojis have “become this incredible new part of language … universally spoken and agreed-upon” and wanted to learn more about their origins and designs. 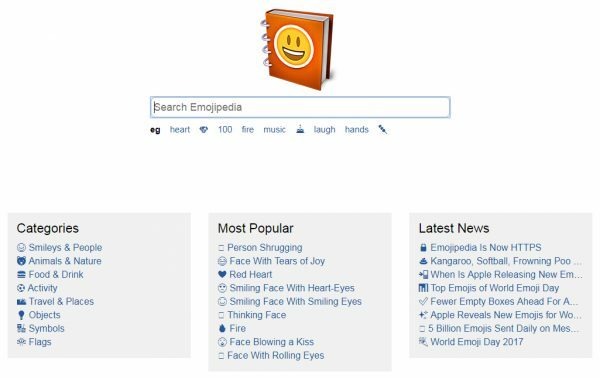 He decided to work on a story about emojis for his podcast, Welcome to Macintosh, and reached out to the creator of Emojipedia, Jeremy Burge. Burge’s site catalogs emojis and their changes over time. He told Bramhill that the first set of emojis was designed in 1998, for a Japanese cell phone company. A designer named Shigetaka Kurita had designed 176 little images, which were 12×12 pixels each (very low-resolution graphics), at a time when texting was still very new. When American cell companies went to enter the Japanese market, they saw that these little pixel images were incredibly popular- and that they needed standardizing. Unicode decided they would bring in new emojis to this core library, but that each addition had to be considered very carefully. 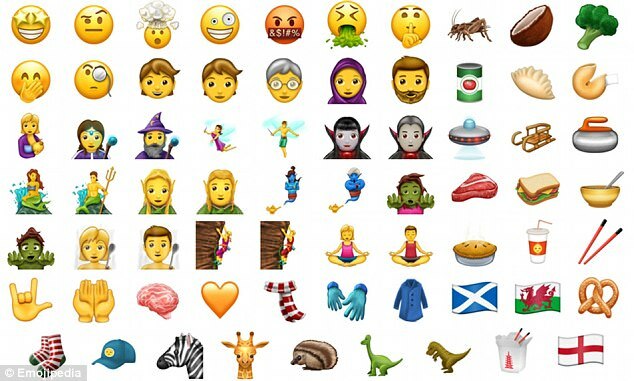 For each new possibility, Davis and the group ask themselves: “Does this break new ground … or is it going to be extremely popular?” Four times a year, Unicode meets to consider proposals for new emojis. Once approved, emojis are permanent additions to language — there is no removal process. 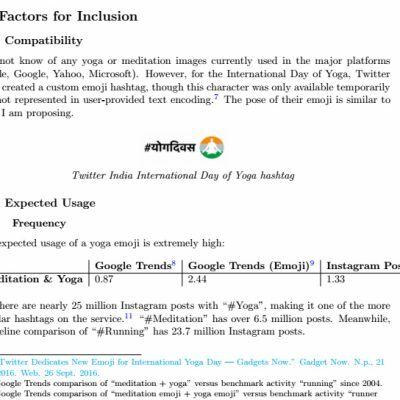 When writing a proposal for a new emoji, there are some rules of thumb. First of all, the demand for the emoji should already exist, and submitters should have data to back it up (citing hashtag usage on social media sites and Google search trends). You don’t want to create a petition for the emoji- the need for the symbol should already be apparent. Also, the emoji shouldn’t be too obscure (like a rare animal) but it also can’t be too vague (like “an animal” ). The proposal also shouldn’t be something that could turn out to be a fad (say, a fidget spinner). After all, the emoji will be there forever, and needs a degree of longevity. 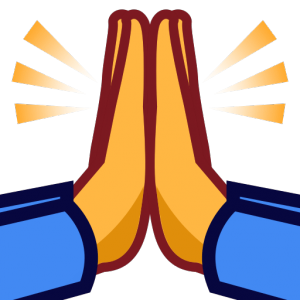 Unicode has also placed blanket bans on emojis for logos, brands, specific people, and deities. 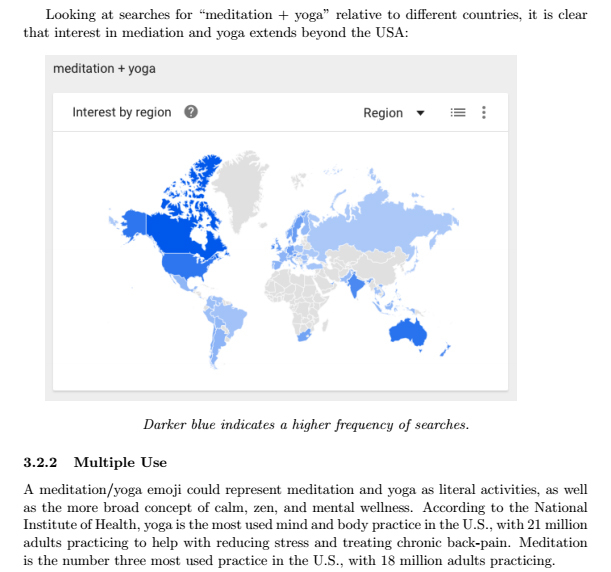 Bramhill had never meditated or done yoga, but quickly became intrigued as his research progressed. 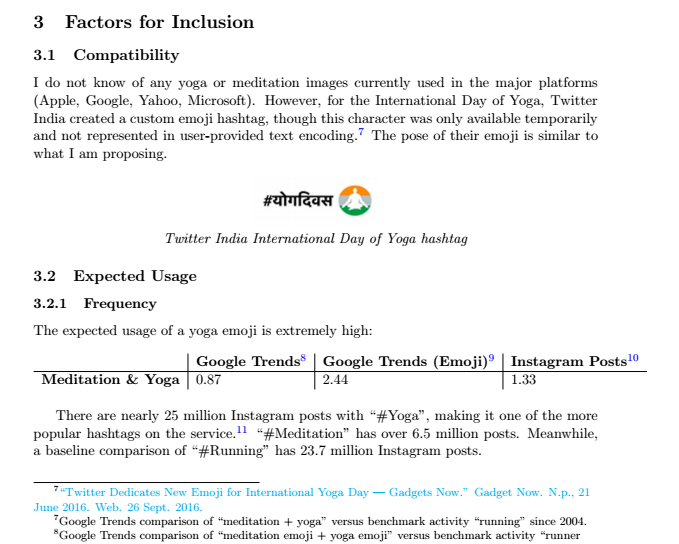 He learned that over 1/3 of Americans practice yoga at least once a year, the United Nations designated an “International Yoga Day” with unanimous approval, and that the hashtag #Yoga is even more popular than #Running on Instagram. 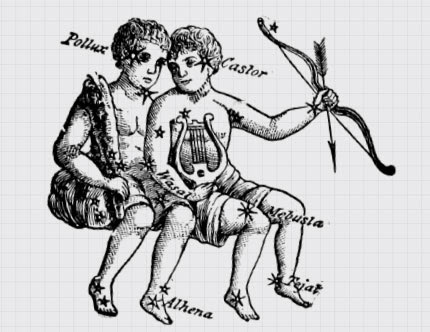 Bramhill began to compile this information, and search for an image that could stand for meditation and yoga. 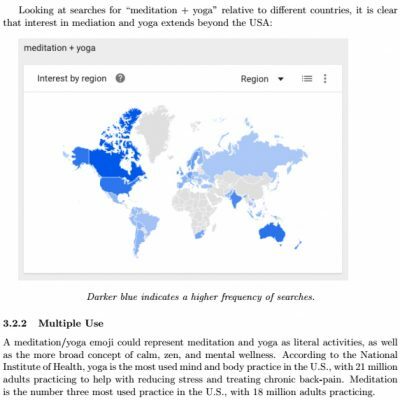 Rather than, say, an image of a rolled-up yoga mat, or a person balancing on one leg, Bramhill opted to propose the image of a person sitting cross-legged, in a lotus position. 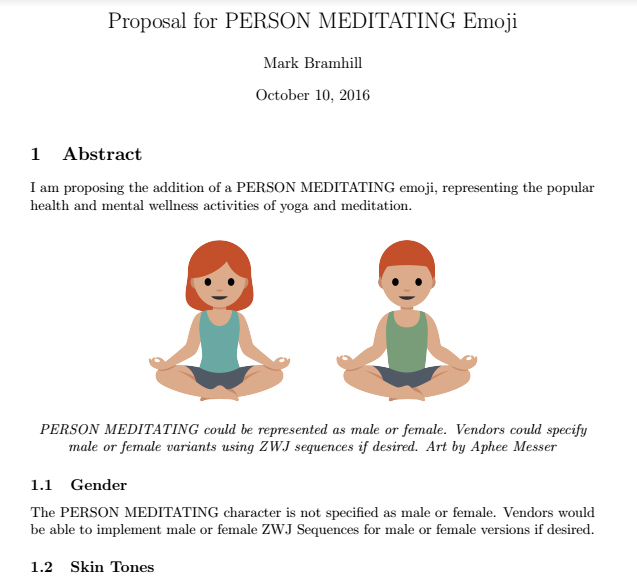 After cobbling together some clip art to demonstrate his concept, Bramhill ran his proposal by Jennifer 8 Lee, who has a non-voting seat on the Unicode subcommittee for emojis. She had also been through the emoji-submission process herself, successfully proposing the Dumpling and Fortune Cookie emojis. (Note: Lee appeared previously in the episode of 99pi embedded below). 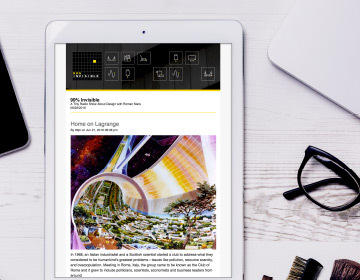 Lee’s feedback: the proposal looked good, but the image didn’t really represent the idea as well as it could. 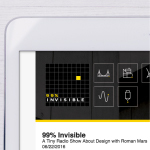 Bramhill hired a designer, Aphee Messer, to make a better visual and strengthen his case. 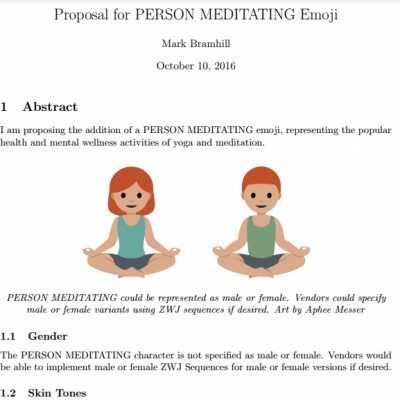 A few weeks after submitting his very elaborate proposal, Bramhill heard back: his emoji idea had passed the first round of judgement. Now it would move on to an evaluation by the Unicode Technical Committee, in San Jose. Bramhill had the option to come to the meeting himself and pitch his emoji in person, so he bought a plane ticket to California to make his case. 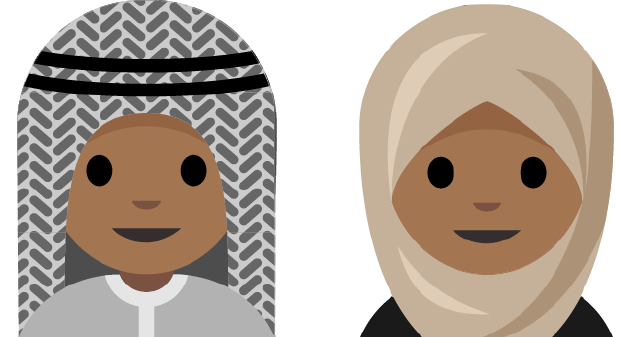 Upon his arrival at the IBM headquarters in San Jose (where Unicode was using a meeting room), Bramhill ran into another person pitching an emoji: 15-year-old Rayouf Alhumedhi. Her submission, “person with a hijab”, carried a lot of personal significance. “I felt like [it would] be nice for me to have an emoji image of myself on the keyboards that I could use,” Alhumedhi explained. This image would also fit into Unicode’s mission to better unite people and cultures through digital language. Alhumedhi and Bramhill both presented their ideas to the Technical Committee. It was a group of about twenty people, and Bramhill’s presentation lasted just about five minutes. Afterwards, he took a few questions, and then he had to leave the room when it came to a vote. 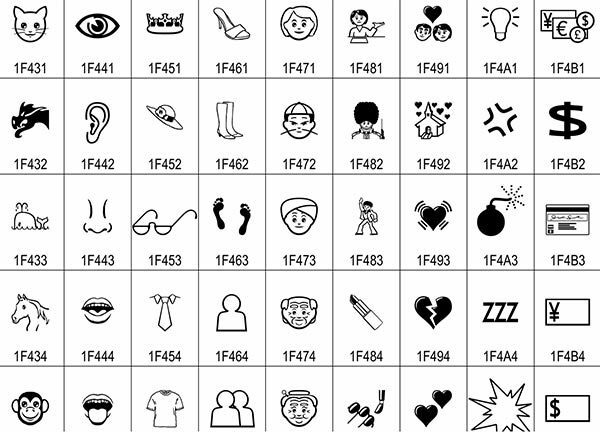 If approved, these emojis would become part of the library. Various platforms like Google, Apple and Facebook would then interpret them, designing characters based on the idea of each emoji. 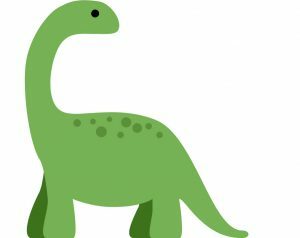 From company to company, different emoji characters might be facing different ways, or have different outfits on, but they should all illustrate the same basic concept. 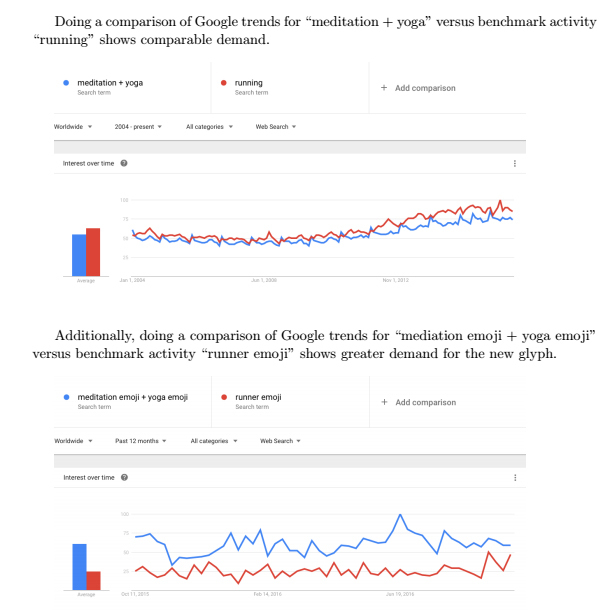 At tech companies, a lot of thought goes into how Unicode-approved emojis will actually look, and how they will be interpreted across cultures around the world. An American Gothic-style farmer with a pitchfork, for instance, may not be as universal as a farmer standing with a stalk of grain. It’s nearly impossible for emojis to be relatable and applicable to every kind of situation and identity around the world, but emoji designers, as well as Unicode itself, is taking great pains to be as all-encompassing as possible. “This is not a good system,” says Keith Winstein, who teaches computer science at Stanford. “You shouldn’t have to ask these people’s permission,” he says, referring to the gatekeepers at Unicode. The emoji approval process can last for years, and Winstein argues that its just not fast enough to remain current. One alternative he suggests: on some platforms, like Slack, people can upload tiny images and use them like emoji. These don’t require special encoding to work within the platform, and you can make “emoji” of whatever you want. Of course, there is also something to be said for the universality of emojis, and the Unicode approval system. Bramhill notes that if we went to a system where we just sent tiny pictures, rather than encoded emojis, it would get rid of the universal standardized language of pictures that people all over the world currently share. As for Bramhill’s proposal: a few days after presenting in San Jose, he was scrolling on Twitter and saw an Emojipedia post about newly-approved emojis. Along with “Person With Headscarf,” “Grinning Face With Star Eyes,” and “Face With Open Mouth Vomiting,” there was his: “Person in Lotus Position.” These will all be available on different platforms later this year. Producer Mark Bramhill of Welcome to Macintosh spoke with Jeremy Burge, creator of Emojipedia; Mark Davis, co-founder and president of the Unicode Consortium; Rayouf Alhumedhi, creator of Person with Headscarf emoji; Jennifer 8 Lee, creator of Dumpling emoji; Rachel Been, creative director at Google on the material design team; and Keith Winstein, assistant professor of computer science at Stanford. Special thanks to Cara Rose DeFabio for retelling this story in emoji. What is it with th crazy popularity of tacos in tinder profiles and emojis these days?!? Health worker emoji is wearing his stethoscope over his shoulders, E.R. style. 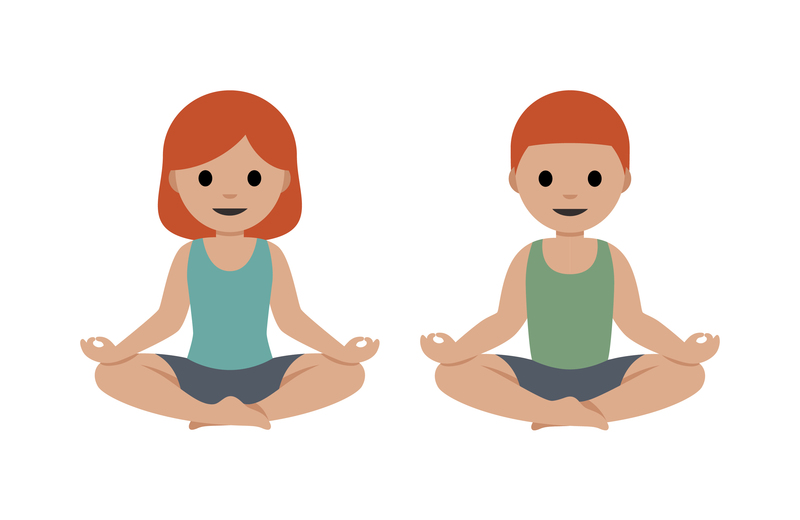 I’m all for a yoga emoji, but that is not the lotus position. In the episode, you said that once an emoji is created, it’s forever. Well, what about the “gun.” It’s now a green water gun. For the Vexillologists out there; is the process for getting a flag emoji the same? There are a number of obscure flags on the list (e.g. St. Pierre and Miquelon). What was the beep at 10:53 for ? I wish I can find transcript of this show. That original emoji set brought back memories from my time as an exchange student in Japan. Not only cellphones were everywhere, but they were in COLOR! Think about the Nokia and Motorola of that period… Dull monochromatic. That surely helped spread the use of emojis!! Some of them are so specific, it’s adorable! Or the order of sports… Baseball, golf and eventually soccer. So cute!! It was a great episode thank you, made a couple friends listen to it again. And now every time I notice an emoticon I wonder is there some kind of white male bias in that choice :) sorry cant help. And I just found a glaring one I need to share !!! And this seems to be a good place. There is now a pregnant woman emoji, ok cycle of life, maybe you want to announce your pregnancy with an emoji why not… but there is also a breastfeeding woman🤱 … but NO woman bottle feeding a baby and NO MAN feeding or even just holding a baby… because you know american society just loves putting pressure on women to breastfeed and be stuck doing so and taking the greater share kid’s care, instead of bottlefeeding and be able to resume work and share evenly the burden of childcare with the father, who’s not even expected to hold a baby. Funny how all the familly emojis combinations are so respectful of all gender and sexual preferences … because it would be too obvious if not. But the minute a baby is held and fed in a emoji, back to the roots of gender inequality and all the centuries of women’s oppression by men.